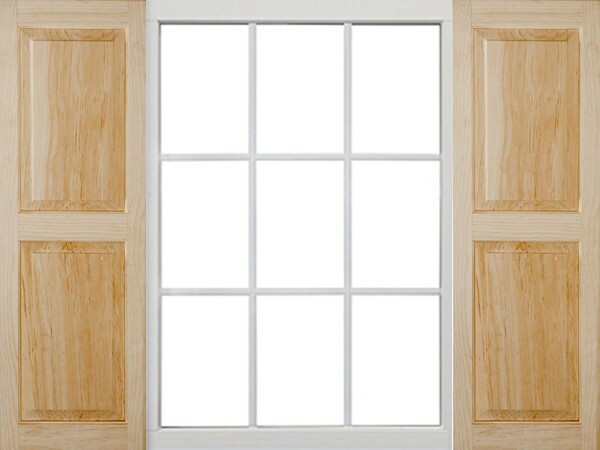 Save up to 30% with Legends Standard Raised Panel Wood Shutters! 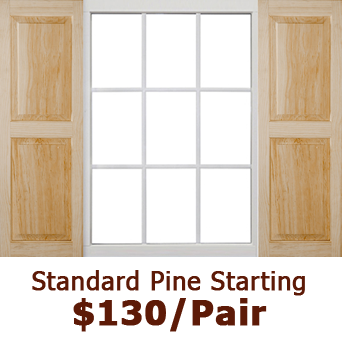 Our USA-made Legends Standard Raised Panel Wood Shutters are available in Unfinished, Primed or Painted solid Pine. Our shutters are produced from individual wood profiles, which allows the shutters to be produced in virtually any size or shape as the parts are assembled after being cut. One-sided raised panel design. 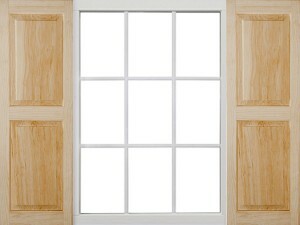 Two-sided shutters available, please call for pricing. Center mullion design (50% / 50%). Other configurations available, please call for pricing.